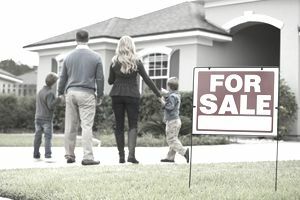 If you've lost your home through a short sale, foreclosure, bankruptcy or deed-in-lieu of foreclosure, it doesn't mean you'll never be able to buy again. However, it does mean you'll have to undergo a waiting period first to qualify for a conventional loan from a reputable lender. A conventional loan is one that is backed by Fannie Mae, the nation's largest purchaser of mortgages in the secondary mortgage market; it is the type usually offered by banks and mortgage companies. Fannie Mae has established a series of separate waiting periods for borrowers, depending on the type of "derogatory credit event" (as they say in real estate financing circles) in their past. Here are the guidelines, current as of 2018. In addition to the waiting period, some loans require a minimum 10% down payment and a minimum FICO score. The home you purchase must be your principal residence, not a rental nor a vacation home. Being unable to afford the interest rate increase on your adjustable-rate mortgage is not considered a circumstance beyond your control. You must be able to provide documentation attesting to these extenuating circumstances. FHA loans have less stringent waiting periods: three years for buying after foreclosures/short sales/deeds in lieu of foreclosure; one to two years for bankruptcies. For some short sale situations, the FHA will waive the waiting period and allow you to borrow immediately—if you were not in default on your mortgage and had a one-year record of timely payments. But these government-backed mortgages tend to be more expensive, with higher interest rates and the requirement that you carry mortgage insurance. A few loans completed through the HAFA program in which a default has not been filed might allow a short sale to be reported as simply paid in full, which will make it relatively easy to buy another home. Moreover, some private banks will make portfolio loans the day after a short sale has been completed, providing borrowers qualify.